Thank you for signing the Guest Book for Rebecca Ruth Rogers. The Birmingham News and Southern Heritage Funeral Home thank you for signing this Guest Book. For additional details on the funeral home (directions, service arrangements, pre-planning), click here. Please take a moment to sign the Guest Book for Rebecca Ruth Rogers. Rogers family, my sincere sympathy to you. 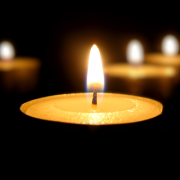 May your treasured memories continue to provide a measure of comfort and peace to the family. Please be strengthened from (Isaiah 61:1,2) our God "binds up the broken-hearted and comforts all who mourn"
Send me a daily email when updates are made to the obituary or Condolence page for Rebecca Ruth Rogers.